Bear bile farming was touted as a cure to poaching, but research again shows it has fuelled demand and decimated wild populations. It is an often-cited theory that farming wild species can help protect wild populations. The idea has been flouted for everything from rhino horn and tiger bones to bear bile, but in the case of bears, evidence consistently reveals farming to have had the opposite effect. A new study, led by Free the Bears published this month in the journal Oryx, has found the same results. 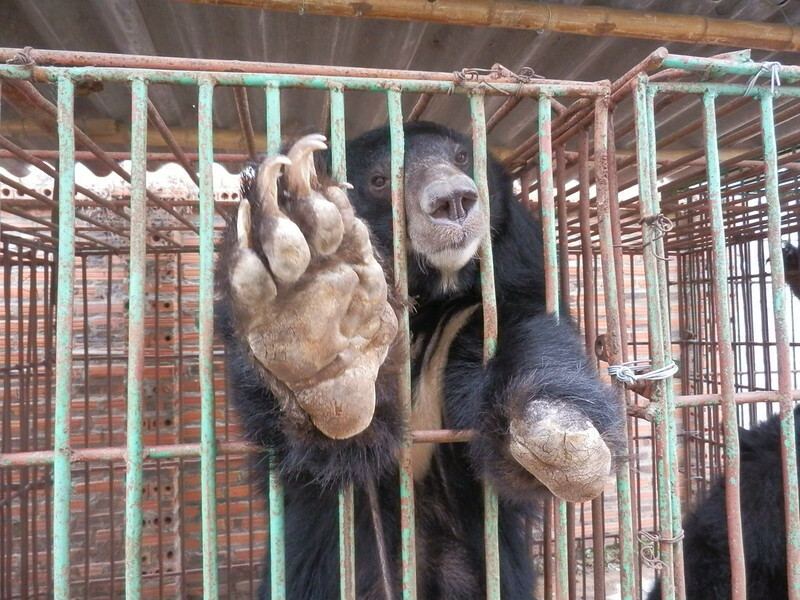 Frank interviews with Vietnamese bear bile farmers revealed 67% admitted to supplementing their stocks with wild bears. Almost all the farmers agreed that breeding bears was difficult with 91% saying they did not know of anybody who had done so successfully. 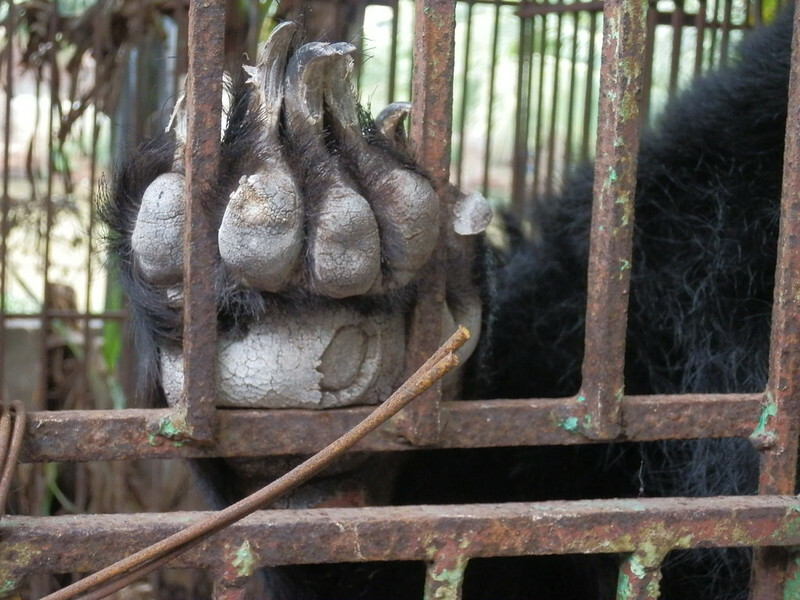 Moon bears are the most common species held on Vietnam’s bile farms. They are listed as vulnerable to extinction, although in Vietnam itself, wild populations have been all but wiped out. 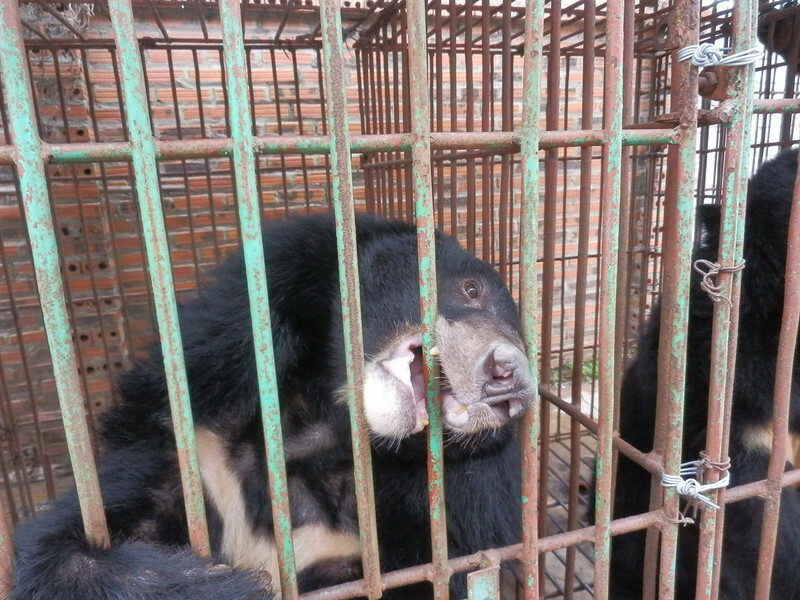 “The results show that demand for wild bear bile was not satisfied by the widespread availability of farmed bear bile. Farmers report a strong consumer preference and willingness to pay more for wild-sourced products. 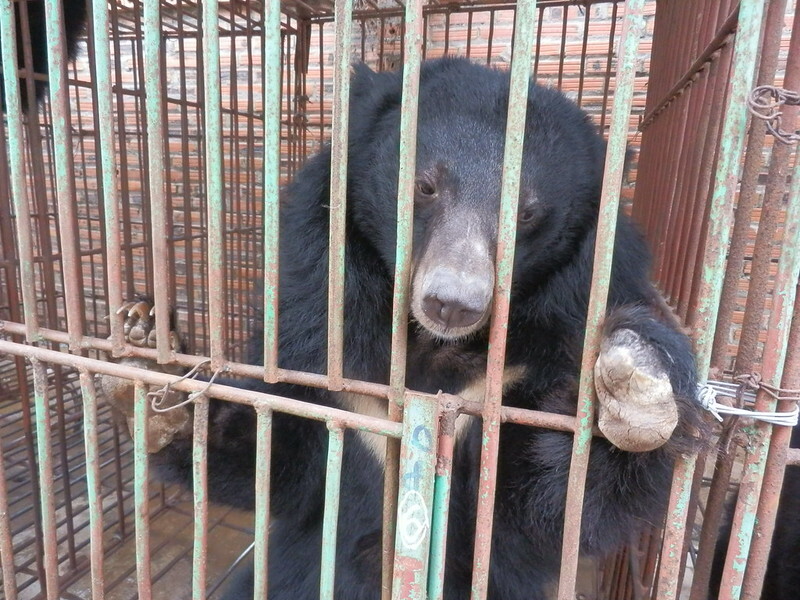 The existence of bear bile farms presents considerable challenges to law enforcement. Bear bile farming has been illegal in Vietnam since 1992, but it wasn’t until 2005 that species specific legislation was enacted and all captive bears in the country were micro-chipped to discourage poaching. While over 4,000 bears were recorded in 2006, today the number stands between 800 and 900. Hearteningly, 100% of interviewees agreed that demand for bear bile was decreasing, while 67% said the industry was no longer profitable. In 2017, the Vietnamese government announced an agreement with Animals Asia to close every bile farm and transfer the remaining 800-900 bears to sanctuary by 2022. “While much of what the report tells us is known to those of us working to end the industry, it is very powerful to now have statistics to back up our claims. Shockingly, around 50% of the farmers admitted they had killed their bears and sold the parts when they were no longer profitable. Current laws stipulate that when a bear dies the authorities must witness the destruction of the body to avoid parts being sold on the black market. “Clearly legislation hasn’t been followed and that has allowed wildlife crime to continue. The fear is that as the industry approaches its end, some farmers may try to kill and sell their bears before they can be rescued. ”We will offer our government partners comprehensive recommendations for more robust oversight of the remaining farms to help prevent this from happening. “As long as consumer demand for bear bile persists and farms continue to hold bears then the threat to the survival of the species within Vietnam will remain critical.